The Center for Communication, Health, & the Public Good (“The Center”) is an innovative hub for investigating critical relationships between communication and health that shape the human social condition in contemporary society. Conduct basic research generating new insights, knowledge, and discoveries about the fundamental importance of human communication when managing wellness, illness, disease, and disorders. Investigate how communication functions across a wide array of health challenges (e.g., cancer, obesity, diabetes), social relationships, cultures, and settings (e.g., family, work, institutions). Translate research findings into significant educational resources (e.g., tools, pedagogy, interventions, campaigns) for improving communication that enhances quality of life and healthcare. Develop sustainable programs promoting creative university/community collaborations designed to advance the public good. The Center will facilitate continued applications for external funding and support (grants, contracts, and philanthropic donations), provide a recognized framework for advancing collaborative research projects among diverse faculty, and foster ongoing curricular innovations. The Center activities will be trans-disciplinary and promote local, regional, national, and global connections. Our initial faculty and affiliates include 10 core members from the School of Communication and 14 affiliate members, representing 11 academic and research units across San Diego State University and University of California, San Diego. Graduate and undergraduate students will be involved on research projects, curricular development, educational applications, and events promoting community involvement. 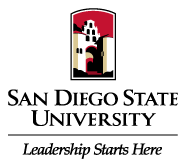 For more information about The Center activities, publications, or how to get involved, please contact The Center Director, Dr. Wayne Beach, at wbeach@mail.sdsu.edu.